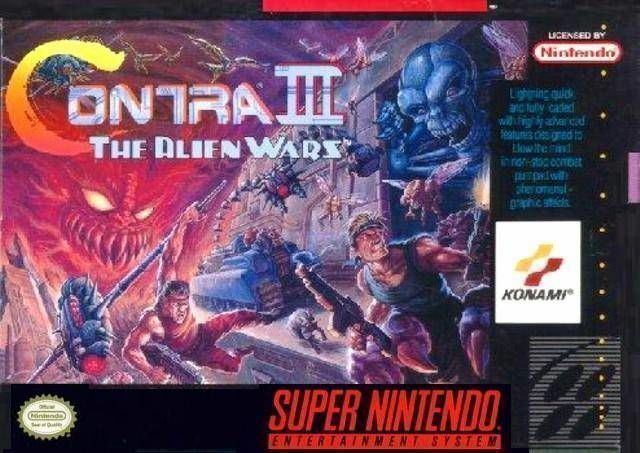 Contra III: The Alien Wars for Super Nintendo is the third game in the series. You must fight with your arsenal of weapons to defeat Notorious One, who is about to unleash an onslaught of epic proportions. 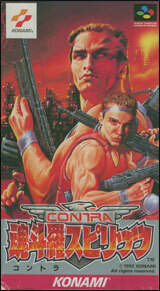 Battle against an alien army made up of Mutant Megasquitos and Psycho Cyclers through six grueling stages. Grab a friend to play together in the two-player Cooperative mode.